The latest dev post to be published on the Dauntless site offers players a look at the main city of the Shattered Isles. Ramsgate is a city located in the high mountains. Filled with artisans, merchants, and warriors from all over the Isles, it’s the front line of the war against the behemoths. 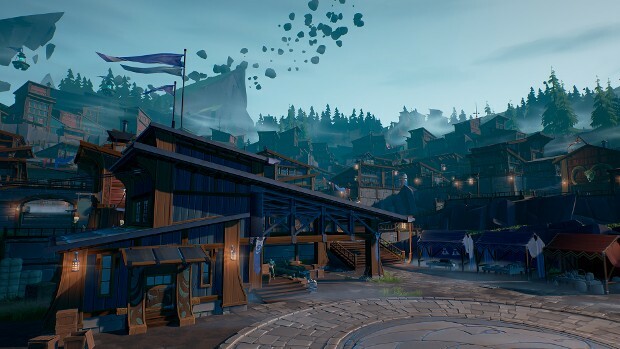 Being one of the larger cities in Dauntless, and the last stop before battle, Ramsgate is a city players will be spending plenty of time in. Here they can augment equipment, pick up supplies, purchase cosmetic dyes, and more. The town is also home to the various factions players will want to earn reputation with in order to unlock rewards. For the full skinny on Ramsgate, head over to the Dauntless blog.